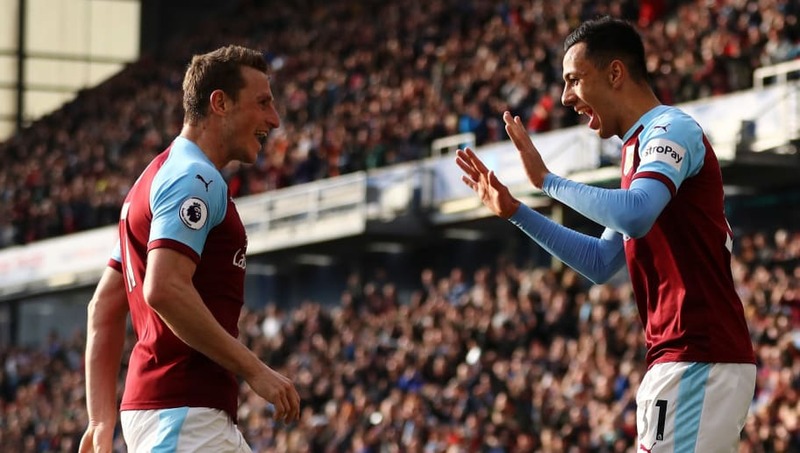 Burnley overcame a high-flying Wolves side with a 2-0 victory in a Premier League clash on Saturday which saw Sean Dyche's side produce a typical display of resolve and resourcefulness. The home side stormed into an early lead with less than 90 seconds on the clock at Turf Moor. Chris Wood latched onto a quick free-kick from Dwight McNeil before rounding Rui Patricio and firing a goal-bound effort which was turned in by Conor Coady for an own goal. With ​Wolves struggling to impose themselves and unable to capitalise on their chances in the second half, ​Burnley held firm and defended with resolve before doubling their advantage with 15 minutes remaining. McNeil wriggled clear of a slack Wolves backline before firing a left footed drive past a helpless Rui Patricio and into the bottom corner to make it 2-0. The visitors probed throughout but never looked to threaten at their usual rate as Burnley saw through a well-fought victory. Few teams have managed to live with the power and intensity of Wolves this season, but Burnley executed a smart game plan from the outset in catching Nuno Espirito Santo's side coid. Sean Dyche's men imposed a typically physical and direct approach to force the visitors onto the back foot. McNeill's early free-kick so early in the game to set up Burnley's opener was a perfect example of the Clarets' focus and tactical nous to punish a sloppy Wolves defence. ​​The early goal gave Burnley an added edge and applied extra pressure to Wolves which demanded more of Wolves in attempting to break down a side which are notoriously stout in defence. The home side were industrious and showed good intensity to outmatch that of Wolves. STAR MAN - Wolves may not have been at their sharpest on Saturday but the visitors still had the majority of possession at Turf Moor, and Burnley had to put in a typically stern defensive display to frustrate Nuno Espirito Santo's side and ensure that they could not capitalise. Ben Mee in particular was a colossus for Sean Dyche's side, turning in a composed performance in which he showed real authority to marshal the defence and keep Wolves' attack at bay with a host of important blocks and interceptions, epitomising his side's resolve and grit. Wolves have defied almost all the odds and the expectations of most under Nuno Espirito Santo this season, climbing to seventh in the table in their first season back in the Premier League. However, their usual sharpness and intensity went missing on Saturday. With a huge clash against Manchester United and an FA Cup semi final at Wembley on the horizon, the visitors may have been slightly preoccupied with matters that lie ahead, but it was surprising that Wolves lacked their usual consistency in high-energy and purpose on Saturday. ​​Nuno's side were guilty of some slack defending to concede so early at Turf Moor and struggled to impose themselves enough to force a way back into the game, as Burnley's typically resolute collective stiffened up and made things difficult for the visitors. Wolves saw plenty of the ball in the second half but ultimately failed to make their possession and superior quality tell on proceedings, as the visitors were guilty of some sloppy passing and poor decisions in the final third. STAR MAN - Wolves generally missed the energy and intensity of Raul Jimenez in attack on Saturday, as the visitors failed to replace the Mexican's penetrating runs in his absence, but Adama Traore provided strong work-rate, power and determination from the right flank. ​​Such application was demanded of the wide man in an unfamiliar wing back role, but Traore justified Nuno's selection with some industrious work in the wide areas which often initiated attacks for his side as they lacked inspiration in other areas of the pitch. Burnley travel to the South Coast to face ​Bournemouth in a testing Premier League encounter at the Vitality Stadium next Saturday. Meanwhile, Wolves will return to action in just three days as they host ​Manchester United in a huge Premier League clash at Molineux on Tuesday, before facing ​Watford in an FA Cup semi final next Sunday.